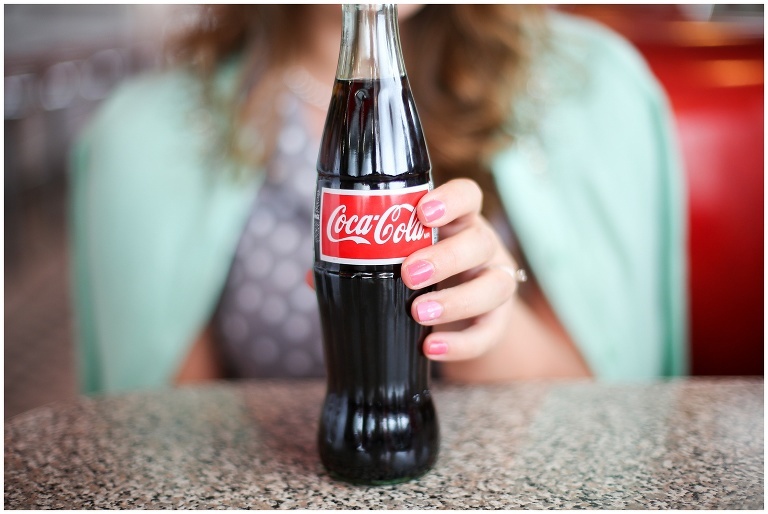 This 50’s shoot might have been one of my favorites. I host a party for teen girls from my church every year. Last year the theme was the 20’s. I loved all the black and gold and flapper dresses! 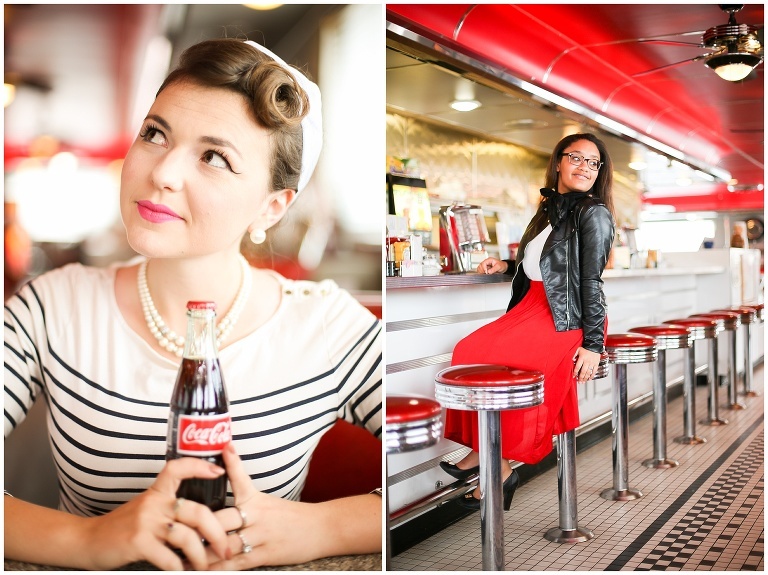 This year I knew I wanted to do the 50’s! I just love the poodle skirts and the colors. I asked the girls to dress up. They did such a good job coming up with their own outfits! 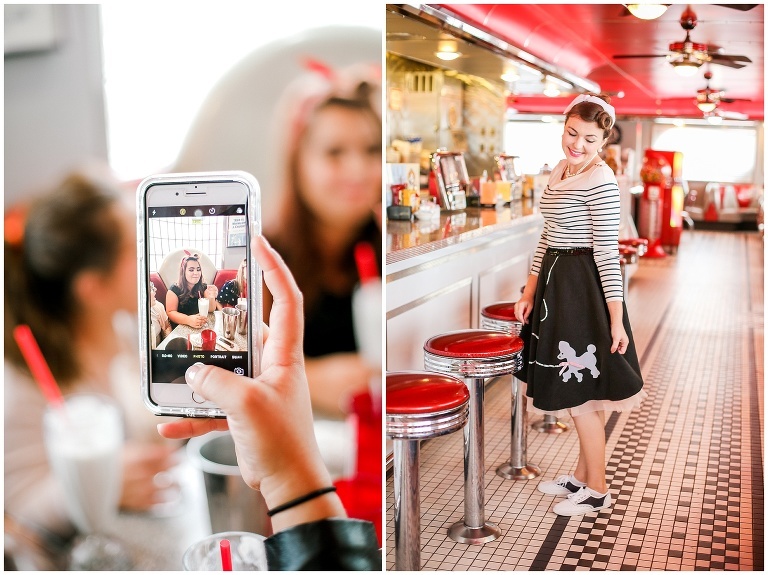 Some of them went for the “greaser” look while others stuck with the more traditional circle skirt’s and polkadots. I knew I wanted to take pictures. I just wasn’t sure where…. 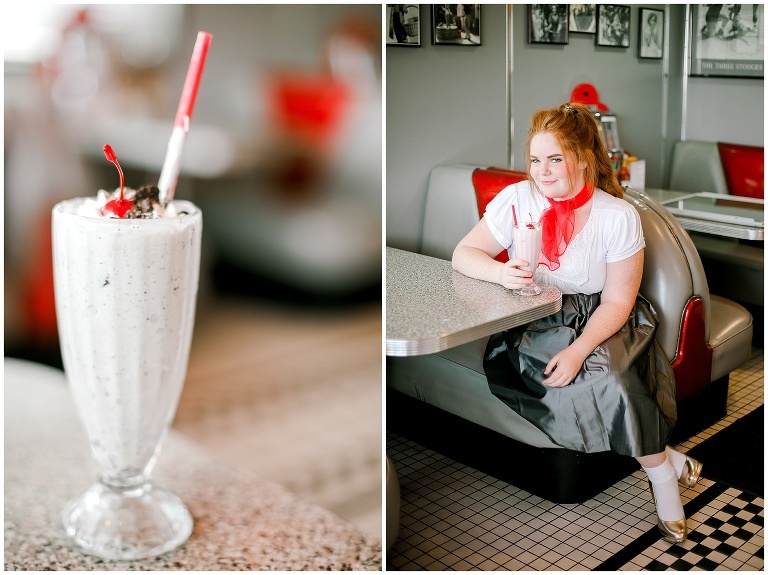 then I remembered the 50’s diner called Nana Dee’s Diner (less than 3 minutes away from my house!). I called and got permission. Our waitress was the best! She was so sweet and accommodating. We enjoyed delicious milkshakes and also lots of laughs. I’m in love with how the photos came out. Leave a comment below and tell me what you think! I am a firm believer in the idea that you don’t have to spend a lot of money to host a great party! Including food, I spent under $20 to throw this party (good thing teens like macaroni and cheese). As far as decor went, I wanted to keep it simple but still showcase the 50’s era. I got a checkered tablecloth from the dollar store and went from there. Since I already had the pink flowers, I went with the pink and teal colors (instead of the red and black) in my front room. I went to goodwill and got some old records for 50 cents each. I used the cases in my front room and the actual records in my kitchen. My friend, Rebecca, cut out some music notes as well as made the cupcakes 🙂 The Coke in the glass bottles were from Walmart. I love the way they looked!